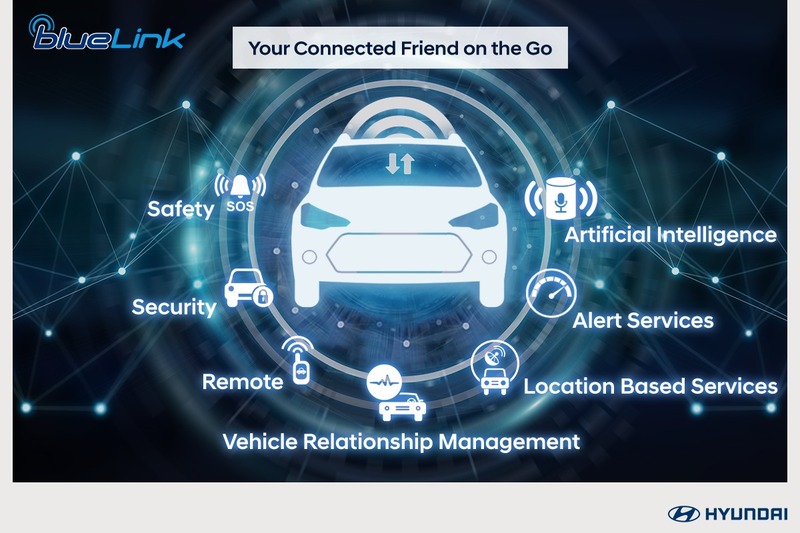 Soon after releasing the Venue’s design sketches, Hyundai has revealed its ‘Blue Link’ connected car technologies. 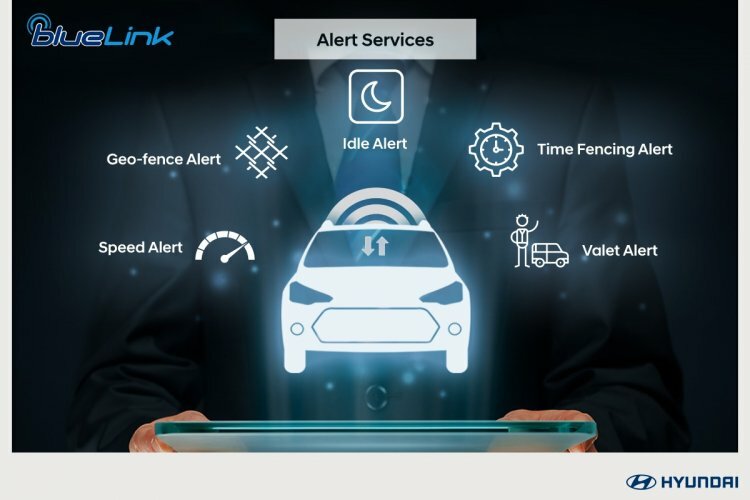 Here’s what the “India’s first smart connected car” is all about. 1. Artificial Intelligence - Artificial Intelligence allows the Hyundai Venue to offer interactive voice recognition to the driver and passengers. 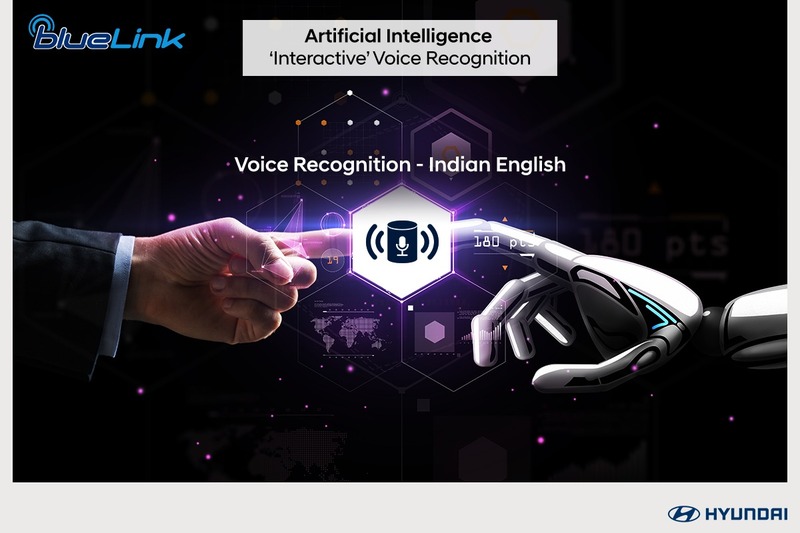 Users will be able to interact with the vehicle even with an Indian accent. 2. Alert services - Alert services include Idle Alert that lets the user know when the vehicle is not in use, Time Fencing Alert, Geo-fence Alert, Speed Alert and Valet Alert warns the user in case the vehicle is being taken for a joyride by a valet parking attendant. 3. 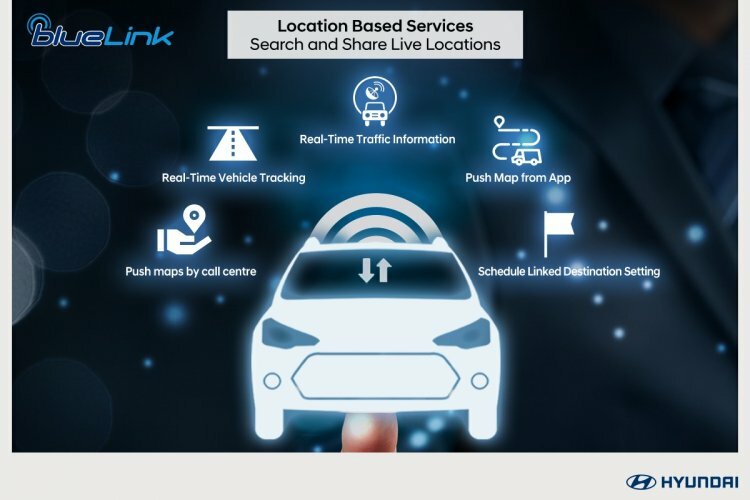 Location-based services - Location-based services include Real-Time Traffic Information, Real-Time Vehicle Tracking, Push Map from App, Push maps by call centre and Schedule Linked Destination Setting. 4. Vehicle Relationship Management - Vehicle Relationship Management allows the user to stay updated on the vehicle’s health and the way it’s being driven. 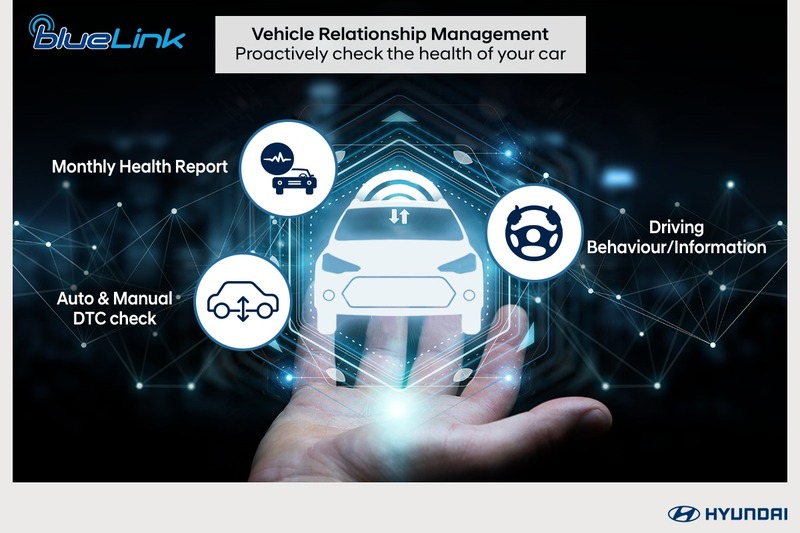 The user can access the vehicle’s monthly health report, run a manual DTC (Diagnostic Trouble Code) check and know the driving behaviour/information. These features are particularly useful when the vehicle is chauffeur-driven. 5. Remote - A number of functions of the Hyundai Venue will be accessible remotely. These will be engine start/stop, door lock/unlock, horn/light control and climate control. 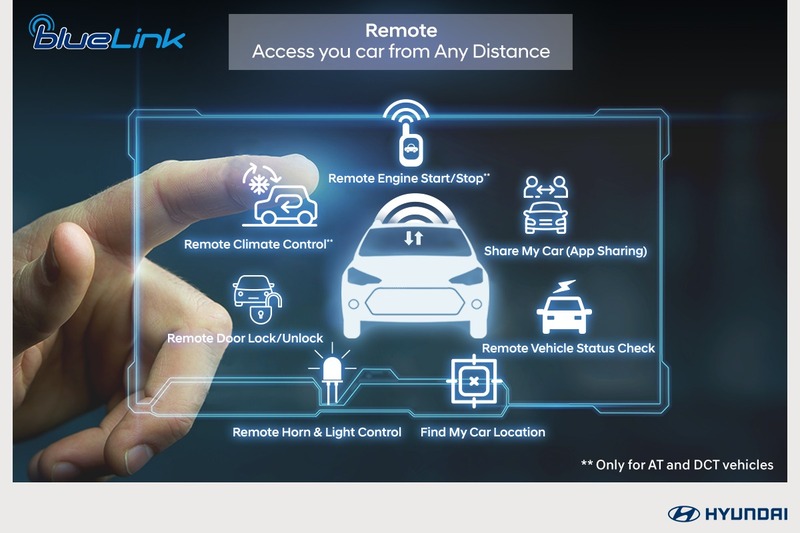 Moreover, connectivity features under this segment will include app-based car sharing, vehicle status check and vehicle location check as well. 6. 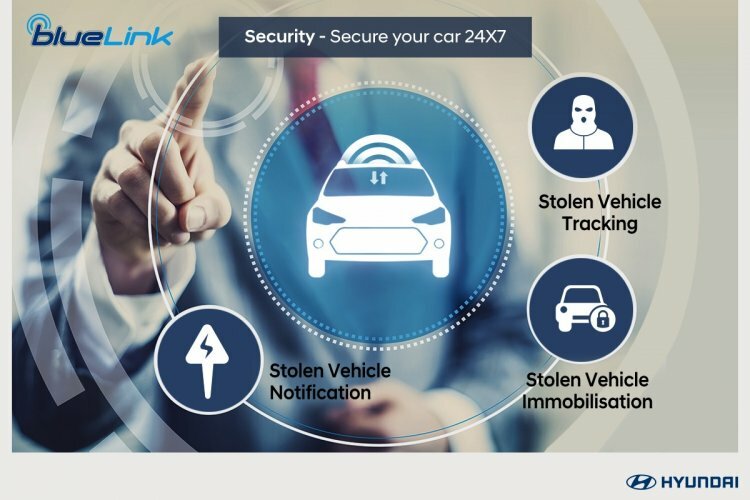 Security - In terms of security, the Blue Link suite will offer stolen notification, tracking and immobilisation for stolen vehicles. 7. 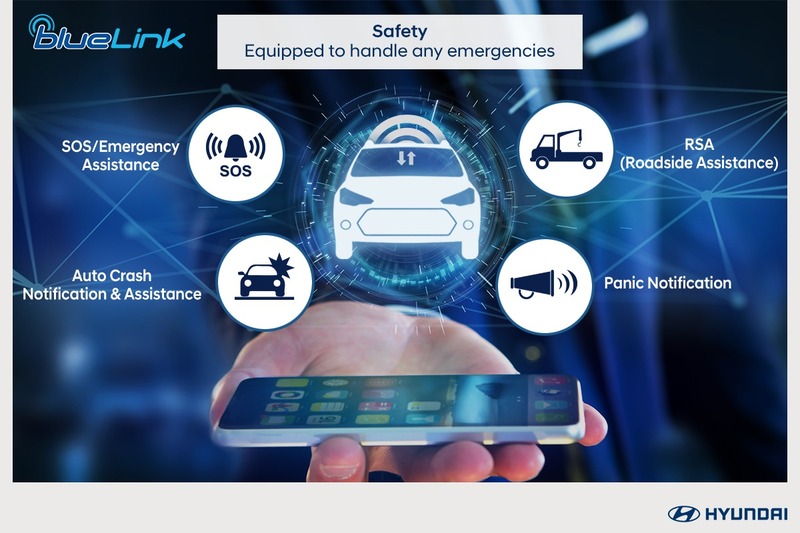 Safety - The safety features offered under Blue Link will include Panic Notification, Auto Crash Notification & Assistance, SOS/Emergency Assistance and Roadside Assistance. Hyundai will unveil the Venue on the 17th of this month and launch it in India on 21 May.